John is the co-developer of the Ice-Tethered Profiler (ITP) and the leader of the WHOI science team. 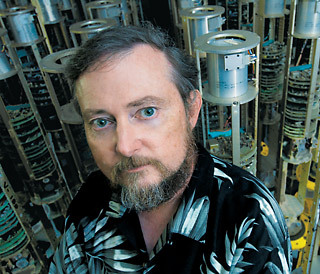 He is an expert on both instrument development and data analysis. Working remotely from Woods Hole, Dr. Toole will communicate with the buoy team to ensure that the ITP is working properly. Afterwards, he will use the data to study the physical oceanography of the Arctic Ocean. In this video, Dr. Toole discusses the impact to the world and surrounding ecosystems of global warming in the Arctic. In order to learn more about the Arctic Ocean, Dr. Toole seeks real-time data from the Ice-Tethered Profilers that will be deployed this April.